Harvey, Alban. "Joseph Boyden". The Canadian Encyclopedia, 30 April 2017, Historica Canada. 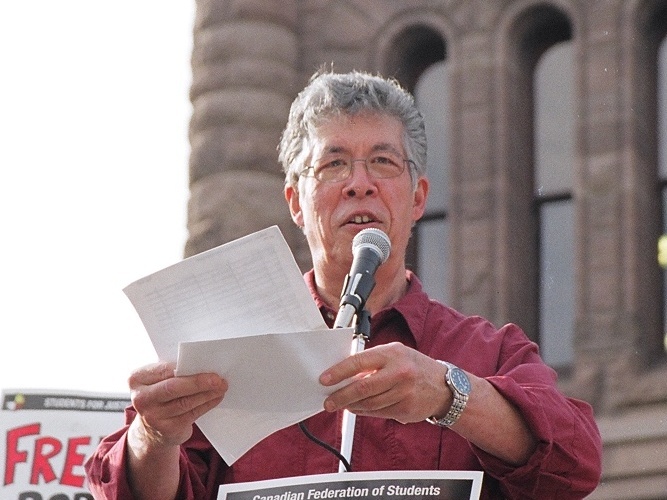 https://www.thecanadianencyclopedia.ca/en/article/joseph-boyden. Accessed 20 April 2019. Joseph Boyden, CM, author (born 31 October 1966 in Toronto, ON). Joseph Boyden's work focuses on the historical and contemporary experience of First Nations peoples of Northern Ontario. 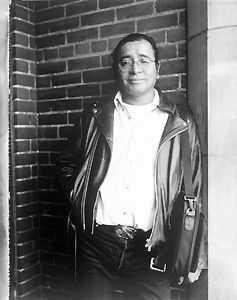 He became widely known in Canada following the publication of his debut novel, Three Day Road (2005), which won numerous awards and was nominated for a Governor General’s Award. His second novel, Through Black Spruce, won the 2008 Scotiabank Giller Prize. He was made a Member of the Order of Canada in 2015. Born in Toronto to Blanche and Raymond Wilfrid Boyden, a highly decorated medical officer who served in the Second World War, Boyden has claimed Indigenous heritage through both his father’s and mother’s ancestry. However, he has been accused of misrepresenting himself by those who say his claims cannot be documented or confirmed. Joseph Boyden was a juror for Historica Canada's Aboriginal Arts & Stories contest. Joseph Boyden was educated in Toronto at Brebeuf College School and York University, and subsequently at the University of New Orleans. He divides his time between Northern Ontario and Louisiana, where he is writer-in-residence in the creative writing program at the University of New Orleans (his wife, Amanda Boyden, is artist-in-residence). 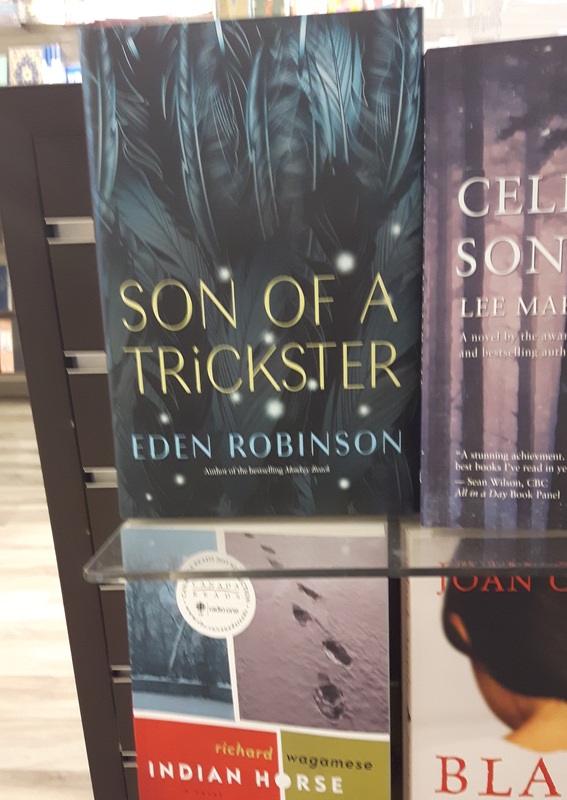 Boyden has also been writer-in-residence at Trent University, Wilfrid Laurier University and Athabasca University, and has taught at Northern College and in the creative writing program at the University of British Columbia. He has also served on the jury for Historica Canada’s Aboriginal Arts & Stories, a writing and visual arts competition for youth of Indigenous descent. The focus of Boyden’s writing career has been the historical and contemporary experience of First Nations peoples of Northern Ontario. His work recounts, in great detail, the perils of poverty, violence, and drug and alcohol abuse both on and off reserves. The damaging and isolating influence of residential schools is vividly depicted. However, his portraits of marginalized groups also represent their strengths: social and familial cohesion, mutual support and friendship, cooperation and humour. Boyden highlights the endangered but crucial value of the collective memory of living off the land and the importance of respect for and understanding of it. Boyden’s first major publication was a collection of short stories, Born with a Tooth (2001). Not all are serious; there are some lighthearted tales of music-making, socialising, gambling and even the theatricality of professional wrestling. But the erosion of old patterns of existence and the skills that supported Indigenous groups for millennia is a central theme, as are the alienation and damaging lifestyles all too often experienced both on “the rez” and in the city. Several of the stories introduce members of the Bird family, who are central to Boyden's later novels. Boyden’s first novel was Three Day Road (2005). This evocative and harrowing study of two Cree friends caught up in the catastrophic upheaval of the First World War presents in stark terms the transposition of Indigenous survival techniques to a war zone. The central figure, Xavier Bird, and his best and oldest friend, Elijah Weesageechak (also known as Whiskeyjack), volunteer for the trenches. Through the application of skills honed in the wilderness — stealth, patience, elusiveness and marksmanship — they become highly successful snipers on the Western Front. But the price of this success is high and the effect upon their personalities and beliefs is profound. Badly wounded and addicted to morphine, Xavier Bird returns to Canada, where he is cared for by his aunt Niska. On their travels by canoe back to James Bay, she tells him the story of her life as he reflects upon his own. Three Day Road won the Rogers Writers’ Trust Fiction Prize and was a finalist for CBC Radio’s Canada Readscompetition in 2006; it was also nominated for a Governor General’s Award and won the McNally Robinson Aboriginal Book of the Year Award. Through Black Spruce (2008) continues the saga of the Bird family in a contemporary context, and has structural parallels with the earlier work. It is principally the story of the life experiences of Will Bird, a bush pilot who is lying in a coma in a hospital in Moose Factory, Ontario. His niece, Annie Bird, travels south to Toronto, Montréal and New York City in an attempt to find her vanished sister Suzanne, then returns to Northern Ontario and tells Will her story. Through Black Spruce was widely acclaimed and won the 2008 Scotiabank Giller Prize. In October 2016, Boyden’s novella Wenjack was published, a fictionalized story about Chanie (Charlie) Wenjack, an Ojibwa boy who died in October 1966 after running away from a residential school in Northern Ontario. The novella, illustrated by Kent Monkman, was one of a number of projects that honoured the 50th anniversary of Wenjack’s death. (Around the same time, Gord Downie of The Tragically Hip released Secret Path, a project that included a solo album as well as a graphic novel and animated film with Jeff Lemire). Boyden also wrote the script for the Heritage Minute about Wenjack and has collaborated with Métis filmmaker Terril Calder to produce a short animated film about Wenjack’s death and the resulting court hearing. Boyden has asserted that distancing himself from Canada provides perspective on his subject matter. He has drawn parallels between the disenfranchised peoples of First Nationsand the sufferings of the poor Hispanic and Black populations of New Orleans during and after Hurricane Katrina. His lecture on this topic, which he gave at the University of Alberta, was published in 2008 as From Mushkegowuk to New Orleans: A Mixed Blood Highway. He has also written the non-fiction book Louis Riel and Gabriel Dumont (2010), part of Penguin’s Extraordinary Canadians series. In November 2016, Boyden became embroiled in what would become known as the Steven Galloway Affair. A year earlier, the University of British Columbia announced that it had suspended novelist Steven Galloway from his position as chair of the creative writing program, pending an investigation into “serious allegations.” In June 2016, following an independent investigation by former BC Supreme Court justice Mary Ellen Boyd, Galloway was fired for “a record of misconduct that resulted in an irreparable breach of trust.” No details were released by the university about the allegations or the investigation. Galloway himself revealed in November 2016 that he had been accused, among other things, of sexual assault (but that Boyd had cleared him of this accusation), and that he had been dismissed from his position because of an affair with a student. Several prominent CanLit authors criticized UBC for its handling of the matter, including its public announcement about Galloway’s suspension and subsequent silence regarding the nature of the allegations and the findings of the investigation. 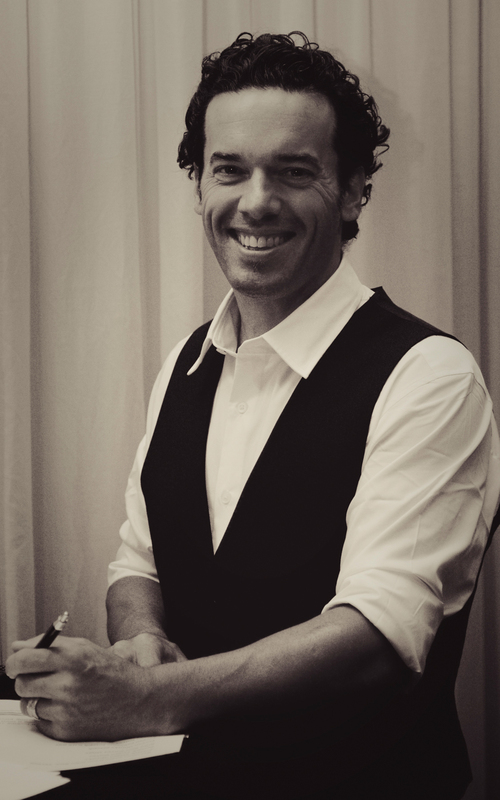 At the forefront was Joseph Boyden, who, in November 2016, penned an open letter to the university titled, “Seeking clarity and fairness in UBC’s handling of the Steven Galloway Case.” The letter, signed by such literary luminaries as Margaret Atwood, Yann Martel and Madeleine Thien, alleged that Galloway had not received due process, and that the case had damaged his reputation and health. It also called for an independent investigation into the way the case was handled by the university. However, Boyden and the other signatories were in turn criticized for the letter’s apparent lack of concern for the female complainants, who had their own reasons to fear that their involvement in the case might harm their writing careers. Critics warned that this public response to the Galloway Affair by a group of Canada's most prominent authors might discourage others in the Canadian creative writing community from coming forward in cases of abuse of harassment.. The next day, the Aboriginal Peoples Television Network website published an article by investigative journalist Jorge Barrera titled “Author Joseph Boyden’s Shape-Shifting Indigenous Identity.” In the article, Barrera notes that Boyden has variously claimed ancestral links with the Metis, Mi’kmaq, Ojibway and Nipmuc peoples, and that the evolving nature of these claims had caused concern among segments of the Indigenous community, particularly as Boyden has become known as a “spokesperson on Indigenous issues.” Despite extensive research, the journalist was unable to confirm Boyden’s Indigenous heritage or a clear connection to a specific Indigenous community. I’m from a mixed blood background of mostly Celtic heritage, but also Nipmuc roots from Dartmouth, Massachusetts on my father’s side and Ojibwe roots from Nottawasaga Bay traced to the 1800’s [sic] on my mother’s side. There has been some confusion as to my Indigenous identity, and I am partly to blame. As I’ve delved into my heritage over the last twenty-five years, I’ve used the term Metis in the past when referring to myself as a mixed blood person. I do not trace my roots to Red River, and I apologize to any Red River Metis I’ve upset. […] I don’t believe anyone should ever be made to feel shame in their identity, or to feel as if they are being prosecuted for speaking up proudly for themselves and for past generations who couldn’t or wouldn’t. In an article written about me, I once said that, “A small part of me is Indigenous, but it is a huge part of who I am.” This remains true to me to this day, and I have never spoken of myself in different terms than that. The controversy over Boyden’s ancestry speaks to a wider debate about who can claim Indigenous identity, with many commentators condemning Boyden for mispresenting himself. In a Globe and Mail article on 28 December, Hayden King remarked that Boyden had “benefit[ed] from a crafted ambiguity” and that “ethnic fraud sabotages the necessary work of rebuilding indigenous nations.” Wab Kinew, in a 3 January 2017 opinion piece in the Globe, called on “my friend Joseph Boyden” to apologize for misleading some people while stressing Boyden’s contributions and philanthropy among the wider Indigenous community. [P]erhaps the issue of how Joseph Boyden gained access to our circle does not matter as much as the fact he is present in our community now. His place among us was built by writing about, giving back to and befriending us. Some, such as myself, continue to claim him. I can not [sic] give him a status card or confer on him the right to identify as Anishinaabe. But I can tell you if he keeps coming back, he will have a place in our circle. I say this wishing he behaved differently. … If he is not native, he should confess. If he has one ancestor generations back, he should explain who they were. During a CBC Radio interview with Candy Palmater on 11 January 2017, Boyden apologized for dominating public discussion of Indigenous issues: “I fear that I’ve become…one of the go-to people when it comes to Indigenous issues in this country…. I should be allowing those with deeper roots in their communities to speak for their communities…. Others need to speak and I do apologize for taking up too much of the airtime.” In response to criticism that his acceptance of Indigenous writing prizes had effectively shut out more authentic voices, Boyden noted that he had only received one such award: the 2005 McNally Robinson Aboriginal Book of the Year Award for his first novel, Three Day Road. Aboriginal Arts and StoriesA program of Historica Canada, this site features Canada's largest essay writing competition for Aboriginal youth (ages 14-29) and a companion program for those who prefer to work through painting, drawing and photography. See their guidelines, teacher resources, profiles of winners, and more. The OrendaCheck out Joseph Boyden’s The Orenda, winner of CBC’s 2014 Canada Reads competition. At Indigo Books & Music.